Though I joked a little about playing it, Patrician IV is actually an interesting little game. First, it is mostly non-violent. There are pirates to eliminate, of course, but the whole idea of the game is building, not destroying. It is even less confrontational than the original Railroad Tycoon, which let you go nuts preying on weaker railroads. Second, it is a trading game with a not-quite-dynamic market, meaning it is much more predictable than these German trading games tend to be; prices at a given city will generally settle to an expected range no matter what else is happening across the League. , then you must. It is Rossignol’s experiences of game culture in three different cities – London, Seoul and Reykjavik – and opens a window onto how gamers in different parts of the world are quite distinct in what they value. Strategy gaming – especially wonkish historical strategy gaming – has always been very European, and it is becoming more so as young American gamers see the PC as an MMO and Farmville machine. If I had a publisher or a work ethic, I would love to write a book about the European strategy gamer. Europe gives us Dawn of Discovery and Europa the Guild and the Paradox Games and Reign: Conflict of Nations. 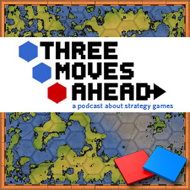 Though American made RTSes can certainly be wonkish – Age of Empires 3 had its moments, as all great economy based RTSes do – European strategy games appeal to something beyond the mastery of systems angle that we often celebrate on the podcast. It’s almost a juggling act. You have to keep multiple systems moving and pay attention to a thousand different things but if you miss any one of them the whole thing goes to hell. has some of that, but as someone who has fallen in love with UIs that tell me everything easily, it doesn’t have everything I want in a game like this. But I am so glad someone made it. I agree that the UI isn’t everything it could be. And yet it’s such a vast improvement over the previous game. It’s a shame that they took out some of the features. I forget. Was it you or Tom who compared the US and European cover art for Settlers 7? That summed things up pretty well. While generalisations are obviously risky and full of exceptions, I think what tends to differentiate European and US strategy games is that the latter are usually about building war machines and using them while the former are usually about logistics, which may or may not result in warfare. Because of this post I picked up the Rossignol book from the library. Really looking forward to reading it. I’ve played a lot of Patrician 3, but have never finished a game. I enjoy the trading aspect and usually get a fleet together. The whole thing falls apart right around mid-game, when you are supposed to begin investing in buildings in towns. I buy the wrong ones, don’t understand how to make them profitable and it’s game over. I remember scouring the net for some sort of strategy on how to do it, but came up empty handed. Does P4 do a better job of this? And if not, anyone care to share P3 building buying strategy?